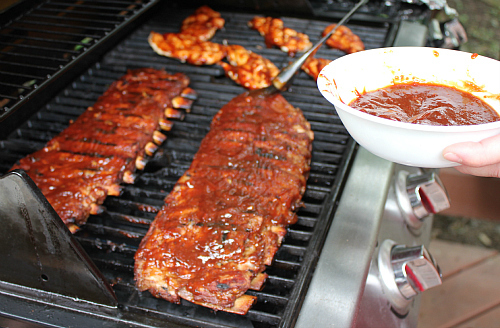 without a doubt, homemade bbq sauce beats store bought bbq sauce any day. hands down. for our father's day cookout this year, we made homemade bbq sauce for the ribs and the chicken that we grilled for lunch. 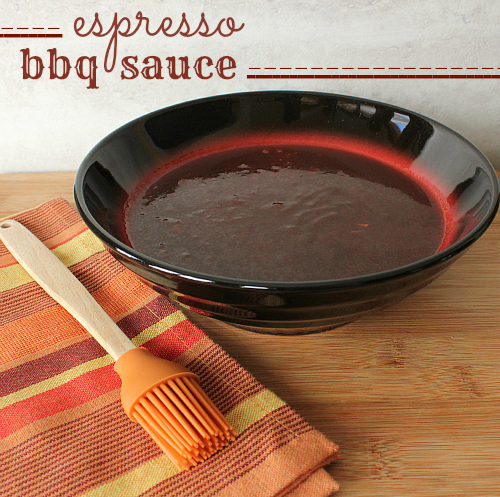 however, instead of making our traditional homemade bbq sauce, we decided to try a new recipe that included espresso! the espresso was subtle, but added a depth to the flavor of the sauce. the cider vinegar and the soy sauce gave the bbq sauce a tang, while the honey and brown sugar sweetened it up a bit. we marinated the ribs in the sauce for a few hours before cooking them, and then slathered additional bbq sauce on them (and on the chicken) while they cooked on the grill. 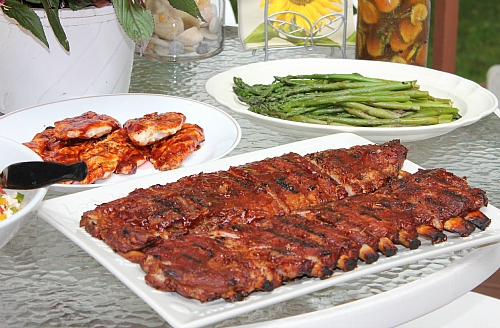 this sauce was a great alternative to traditional bbq sauce, and it certainly kicked things up a notch. what's great is that this recipe makes a ton of bbq sauce, so there will be a bunch left over to either share with family or to save for later. mash the garlic cloves with the side of a knife. finely mince the garlic. in a large pot, saute the garlic and the olive oil over low heat (about 1-2 minutes). add the vinegar, soy sauce, ketchup, honey, sugar, espresso powder, and pepper. stir well. bring to a simmer and simmer for 10 minutes. store remaining sauce in an airtight container in the refrigerator for 1-2 weeks. Boy could I go for some ribs and chicken. Excellent recipe.